D564.Army Officer's Dagger with Knot an Hangers. Maker "E&F. 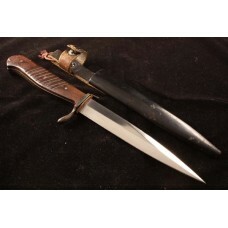 Hörster"Nice Dagger etched on the R..
D618.SA Dagger model 1933 with Leather Hanger. 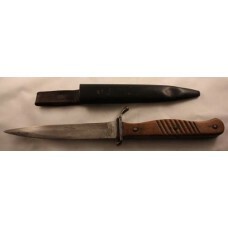 Maker "Christianswerk Solingen".Nice early dagger in ..
D563.SS Dagger model 1933. Mamer marked with "Bertram Reinhardt-Solingen". Rare maker with SS number..
D638.HJ Knife with Motto "Blut und Ehre", maker marked " RZM-M7/8" for E.Gembruch.Anodised Scabbard,..
D636.R.A.D. Officer's Dagger, maker marked with "Carl Julius Krebs-Solingen" Original Dagger in mint..
D639.HJ Knife without Motto, marked "RZM-M7/66" for Carl Eickhorn-Solingen. 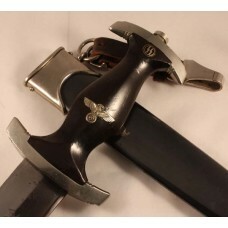 Transitional period, bla..
D631.Luftwaffe Dagger M.1934. 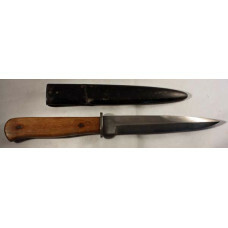 maker marked with "SMF" and Acc.Stamp.Heavy Luftwaffe model34 in weird..
D01.SA Dagger model 1933, Maker marked " RZM-M7/31" for "Ww.Merten-Solingen". Crossguards in Nickel ..
D540.German Imperial Trench Knife marked "Rassiermesser Fabrik ERN-Wald Rhein". Scabbard with one de..
D552.German Imperial Trench Knife, unmarked.Nice Combat Knife, a blade with all his Crossgrain..